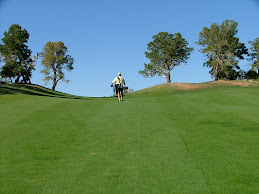 By popular demand Eye On Golf (EOG) has finally advanced to the world of the Blogger. For those that are unaware EOG has been publishing a periodic newsletter on the world of golf for over three years. It has been transmitted solely by newsletter. This blog will be an additional means of communication to that newsletter. If you want to catch up on any of the EOG thoughts, just let us know and we'll make arrangements.